A man allegedly found with class-A drugs valued at almost £35,000 has been charged by police. 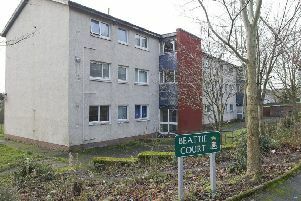 Officers raided an address in Hawick’s McLaren Court on yesterday and discovered a quantity of heroin with a maximum estimated street value of £35,000. The 25-year-old man was subsequently arrested and charged in connection with the find the following day. He is due to appear at Selkirk Sheriff Court today. Detective Sergeant Barry Roebuck, of Galashiels CID, said: “Tackling drug crime is a priority for the local community, and therefore it remains a priority for us.